Life seemed to throw one curveball after another at this single mom in Kingston, Ontario. She had to leave her former career due to a health condition, ended a marriage, and even coped with a death in her family. 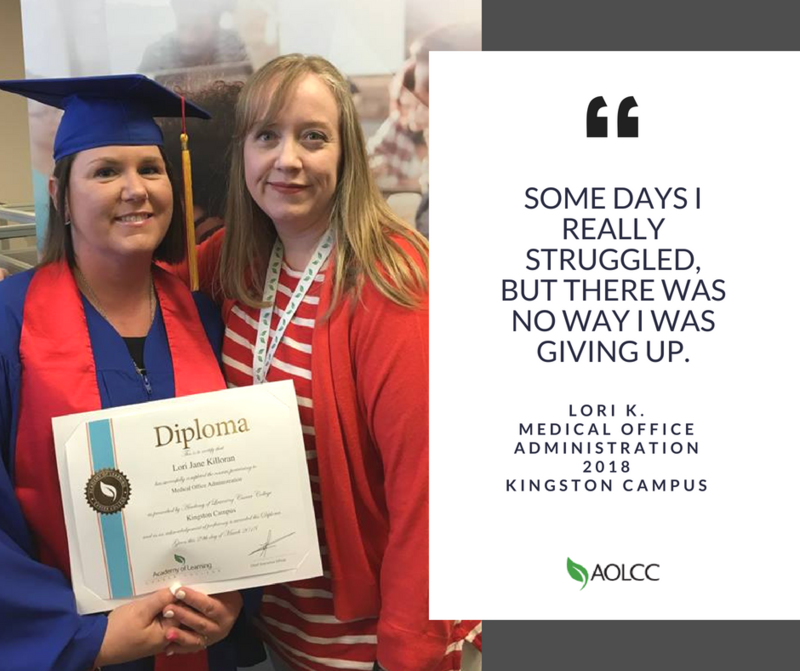 Yet despite it all, Academy of Learning Career College (AOLCC) grad Lori K. has shown how strong and resilient she is, moving forward even in the darkest of times. Below is Lori’s story, originally posted on AOLCC Kingston campus testimonial page. “A little over a year ago, my life completely changed. After 17 years, my marriage ended and I became a single mom. My self-esteem and confidence were very low, and I was so lost I didn’t know where to turn. Around the same time, due to a health condition, I had to leave my first career as a hair stylist, and this was very difficult for me because I loved what I did. Though this was a truly difficult period, after several months of feeling sad and unfocused, I decided it was time to pick myself up and move forward. My best friend picked me up and we set off to check out a few schools where I might be able to gain the training toward a new career. The first place we went to was Academy of Learning Career College in Kingston. When I walked into the school, I was greeted right away with a smile. I met with Admissions Representative, Dorota Mirek, who patiently explained how the college worked, and by the end of our conversation I felt that she truly believed in me, even if I felt uncertain about myself. 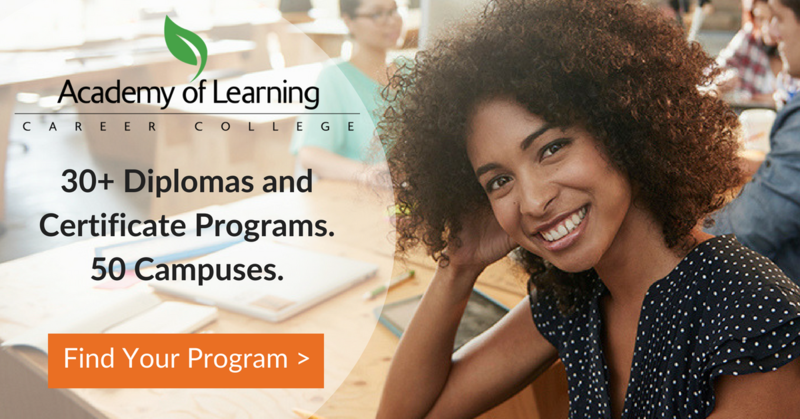 I decided right then that this college was the one for me, and I took the steps I needed to begin my journey as a student in the Medical Office Administration diploma program. During my program, I had encountered further struggles in my personal life, not the least of which was losing my sister. My mentor, Tara, was very understanding and helped me to develop strategies to heal, and she and the entire staff were very patient with me during this time, helping me to stay on track with my studies. They understood my dedication and how much it meant to me to succeed, and I truly appreciated their compassion and understanding. I became involved in organizing and initiating college events, and also was provided with opportunities for hands-on learning which have been a wonderful way to help me cement my newly-acquired knowledge. Not only did I succeed, I also found a new, more confident version of myself… I met many great people, helped coordinate a Blood Drive for the college, and took on a volunteer position at local medical office where I put my skills to work. Some days I really struggled, but there was no way I was giving up. With the support of all the staff I pushed through and made it. Now, I am about to start a new career as I have recently been hired for a position in the Medical Office Administration field. I have renewed self-esteem and my hope is that my story will reach others to help them see that they can begin again, too. Without hesitation, I can say that because of the care and support given by the AOLCC team, as well as my own determination to do well, I believe in me, too. Thanks for being an inspiration to us all, Lori!